The restaurant will be closed for business on Wednesday 22nd August 2018 for one day only. Apologies for any inconvenience caused. We are excited to announce that for the 5th year in a row we have made it to the finals. Record equalling final appearances and with a win in 2015. This, like last year their are 10 finalists. This would not be possible without the support of of our regular customers so we would like to congratulate and thank everyone who voted for us. Finals will take place on May 7th in Merchant Square Glasgow. Before the gala final one more hurdle to complete which is to ensure the mystery judges give us a thumbs up and we accumulate enough points to challenge top spot. 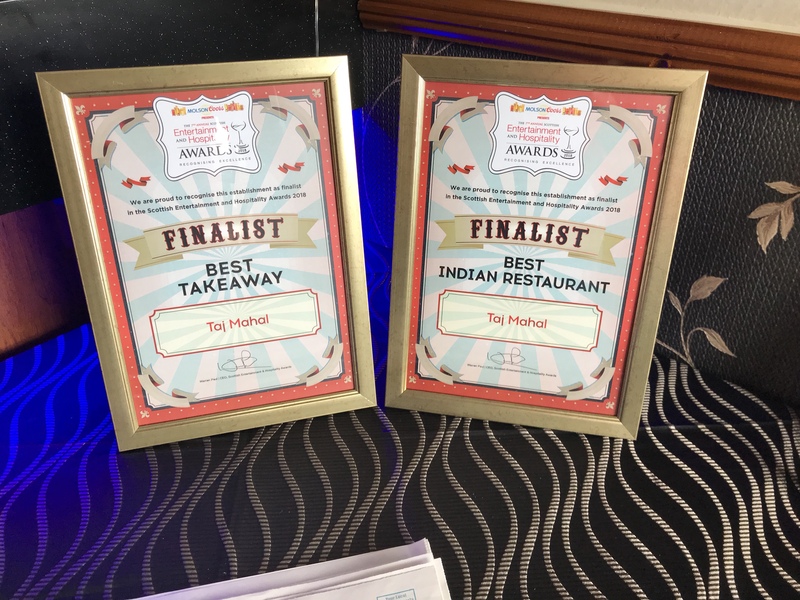 Being a finalist shows that we are amongst the top Indian Restaurants in Scotland and continue our efforts of providing each customer with the TajTastic experience. 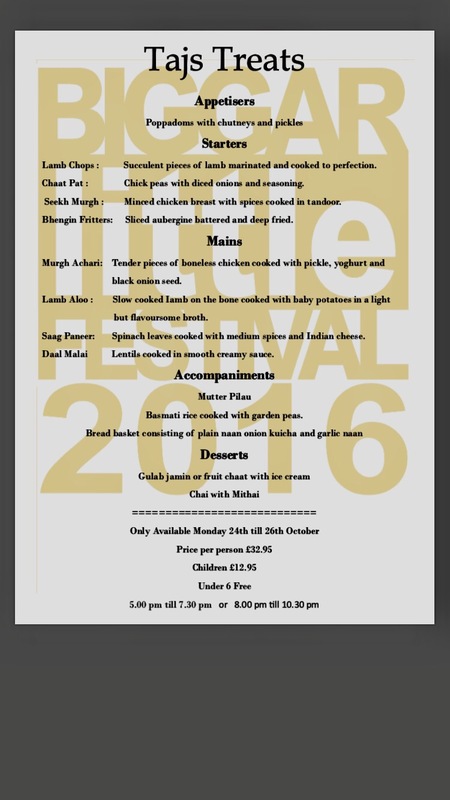 Our menu for this year.